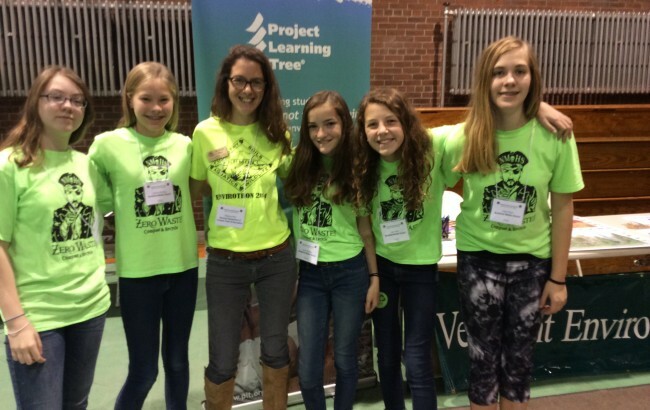 Northfield Middle School Green team students shared their success at the Youth Environmental Summit November 5, 2015 at Barre Auditorium with other middle and high school students from around Vermont. Under the leadership of Guidance Counselor Jerry Cassels, these students applied for and received a GreenWorks grant from National Project Learning Tree. This grant funded the implementation of student designed projects including the implementation of a school wide zero waste program, and the greening of a very popular community event. These students are leaders in the school and community—leading train-the-trainer programs for other students, and for businesses in the community.